Since it's summer and many of us are off on our travels or counting down the days until our holiday, I thought I would share with you a couple of products which are quick and easy to use and great for keeping the skin hydrated this summer, whether you are getting ready to go in the sun or feeling dry after a holiday or simply just needing a little extra hydration! Ioma Anti-Dryness Mask - First off let's talk about this mask by Ioma, when I first used it I found it strange as it is a sticky gel formula which you keep on for 10-15 mins then wash off. I'm used to a cream formula for a mosturising mask so this felt strange... but the feel of my skin once I used it was amazing! It has definitely kept any areas of my skin from getting dry (around my nose area is where I normally suffer, with the forehead and chin generally oily) but I think it would work wonders for anyone with really dry skin, it is very cooling and feels like your having a facial which is quick and easy too do! I have to say, it is a little on the pricey side but lasts a very long time and is not something you need to use all of the time, just when you feel like your skin needs a little extra care all year round! 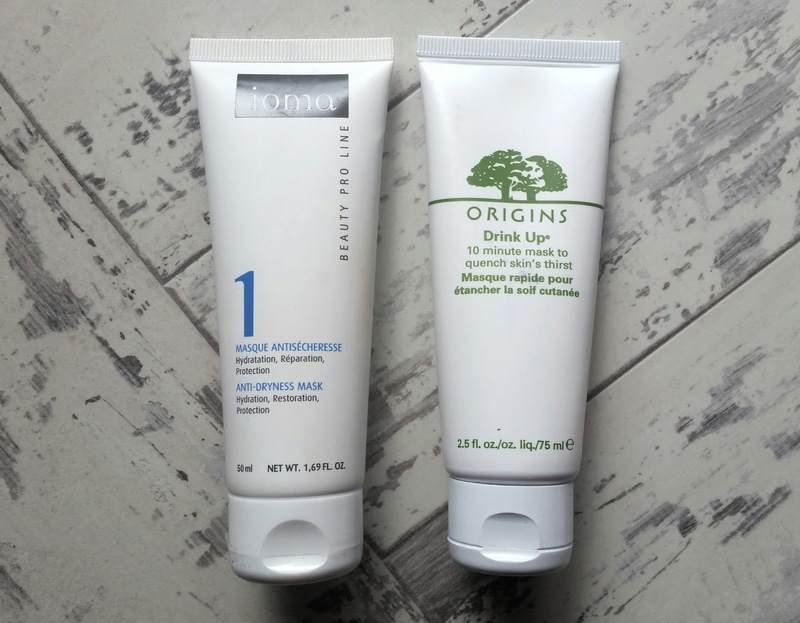 Origins Drink Up Mask - I've spoke about Origins in previous posts, as this is a brand which I love and always works well with my skin! So I had to include the 10 minute mask in this post. I once spoke about the overnight intense mask by Origins which I loved last winter but I converted to this one during the summer months! With it being a ten minute hydration mask it is quick and easy and gives your skin all the moisture in needs in such a short time. It is a creamy formula and great for any skin type, I usually apply this mask after a little exfoliation to calm and soothe the skin and it is lovely, especially during or after a holiday when you have been in the sun. I have been loving these products so far this summer and will continue to use them going into September, especially when I go on holiday! I think it is really important to sometimes give your skin a little extra hydration once or twice a week no matter what your skin type! Out of the two, I would say you feel more of a benefit when using Ioma Anti-Dryness Mask and will be great for really dry areas of the skin or a dry skin type! I use this when I feel necessary especially after being out in hot weather but I usually go for my Origins 10 minute mask for a quick hydrate twice a week! These are more premium skincare ranges but what I find worth the money, they last a long time and not something you need to use all of the time as they treat your skin and keep you feeling fresh and hydrated for days!